To be honest, I've never made it more than ten minutes into any single Metroid game. I tell myself I'll marathon them all when I have time one day (followed by all the Zelda titles). 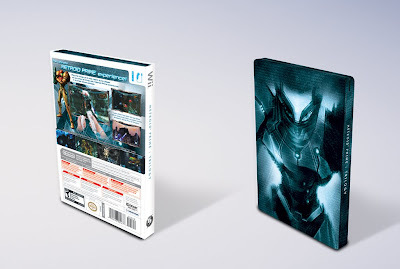 I really want this collector's edition, however, just on account of how cool the packaging looks. 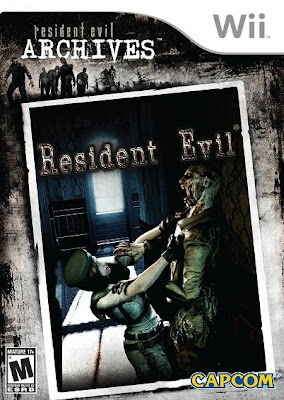 For a compilation of three old games, I had been expecting a quick and dirty treatment a la Resident Evil Archives, but this is instead the coolest Wii package by far. Yes! The box is intense! Metroid Prime remains my favorite game on the GameCube, slightly edging out Rogue Leader only because Metroid is a more refined experience. Is it possible that the handheld Metroid: Zero Mission is an even better game than Prime? I've thought so at times, myself. Super Metroid, as many say, is probably the best game on the SNES, though my feelings are split, because that was the last system where Metroid had to compete with Final Fantasy in its prime (pun intended!). I have two Primes to go. And they need to remake Metroid II, because I don't know if I can play an emulated version of the original Game Boy title, which is sure to be merciless. 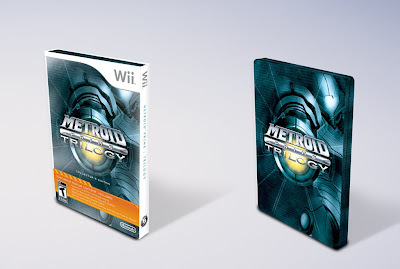 Mario is the most popular, Zelda is the critics' darling, but for my money, Metroid is the best of Nintendo's Big 3. Of the Marios, I've only beaten Super Mario Bros. 3 (speed run) and Yoshi's Island, which some don't even consider a true Mario game. Oh yes, there was Super Mario Land, but that also isn't universally accepted as a genuine Mario. Of the Zelda games, I've only beaten Four Swords Adventures, which is probably even less of a Zelda game than Yoshi's Island is a Mario game. But what of NES Metroid? NES Metroid was a ridiculous and crude tech demo that was remade into a fun and engrossing adventure game called Metroid: Zero Mission. I know what I'm talking about. This was back in the dark ages when it was still possible to buy a video game, break the plastic seal, play it, then take it back to the store and return it if you didn't like it. Hell, this was a time when they sold video games at Sav-On Drugs (Bayou Billy, et al). I bought Metroid, played it, deemed it ridiculous, and we returned it to the store. My only regret is that it's surely a collector's item, and I should have held onto it for that reason. But certainly the gameplay itself was reprehensible. And just because a game is hard or unbeatable doesn't mean I'll want to get rid of it. I held onto Super Mario Bros. and still cherish it, even though I'll never beat it. Case closed.